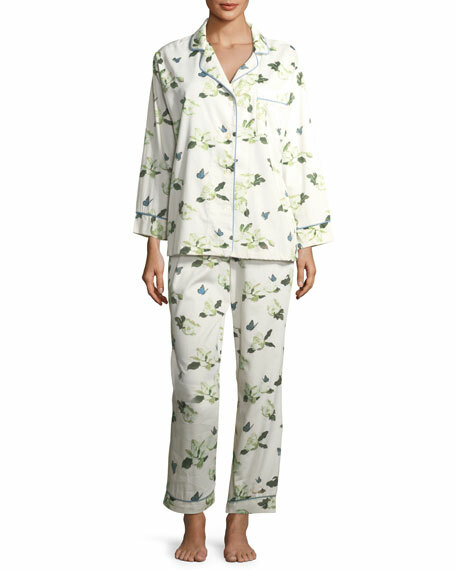 Bedhead floral-print pajama set with contrast piping. 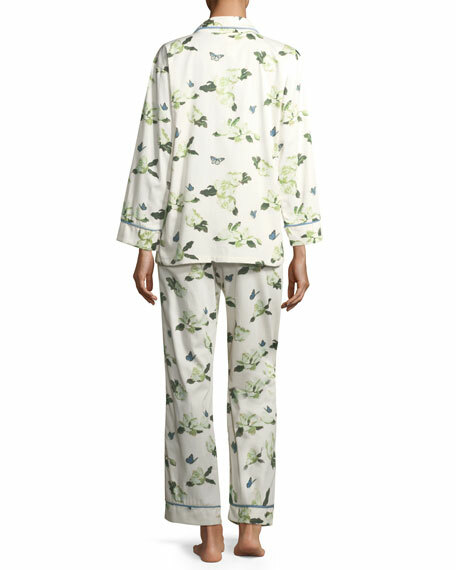 In 1999, BedHead creator Renee Claire Bertrand began designing well-made pajamas using specially screened cotton prints. Immediately successful, the popular line has become the go-to loungewear company for some of Hollywood's best costume designers. Today the fashionable sleepwear line has expanded to include robes, slippers, and accessories. For in-store inquiries, use sku #2312120.